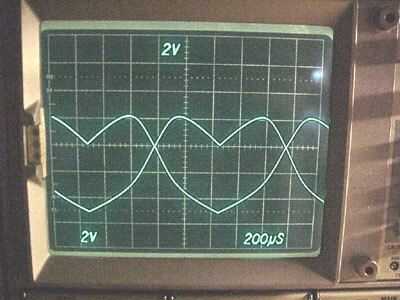 Synthesizers are incredible machines that can make almost any sound imaginable. There's something about hearing a unique sound for the first time, it offers a special experience for our brains, different than anything else - it's magic. The first types of synthesizers used all analog circuitry and had a distinctive sound you just can't get with modern digital systems. 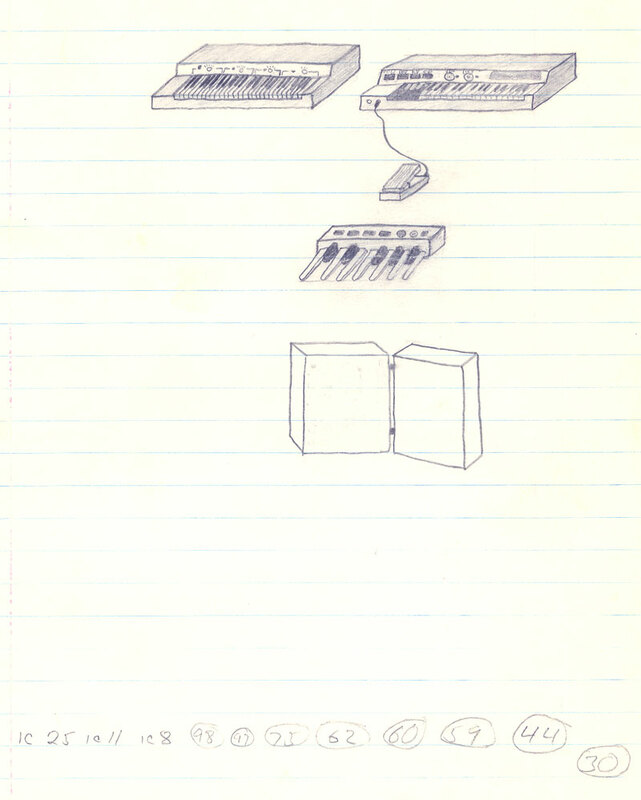 The first synths were modular consisting of function blocks that could be moved around. The modules had to be patched like an old-timey phone system and tweaked manually. Users had to know about the science of sound in order to make it work. 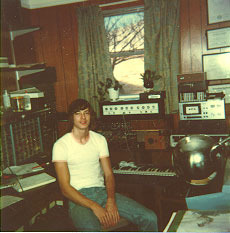 As a young tinker at the age of 16 I began building my own systems and connecting them to computers (1970's). Of course back then, I had to make everything from scratch because only big companies and universities could afford such equipment. In the 80's, digital synths replaced the old analog systems and gave users one-button sound selection. 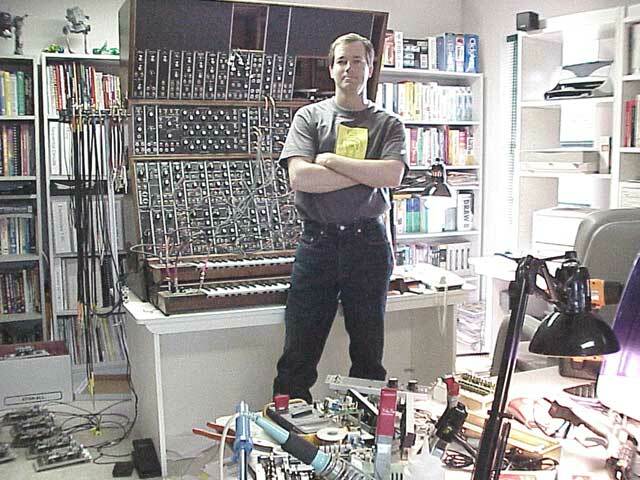 Then, in the late 90's, muscians rediscovered the beauty and possibilities of the old analog modular systems. I used this opportunity to start a small company to build and sell analog synthesizers for those special amateur and professional musicians. This page describes my journey. In the mid 70's I was beginning to learn electronics and became interested in music. My favorite music was Yes, Genesis, the Who, and other bands that used analog synthesizers. Switched-on-Bach was a particular favorite and I became inspired to learn more. 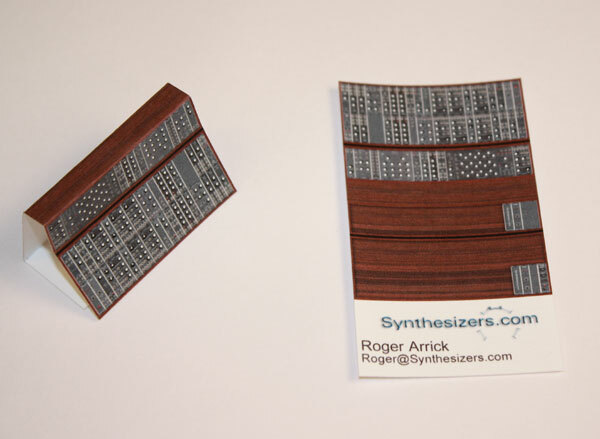 Eventually, I built synthesizers from kits and from my own designs. 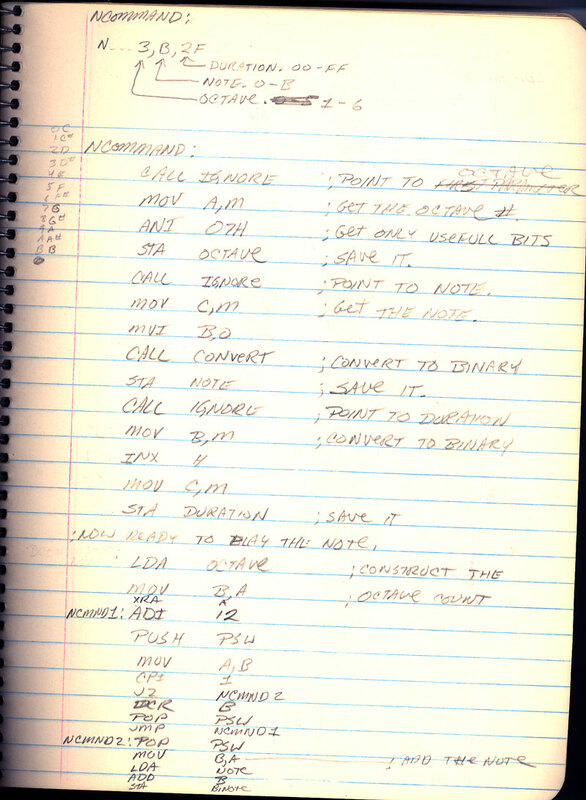 At the same time, computer technology was advancing and I built a CP/M-based system, interfaced it with the synthesizer, and wrote software to play music. Those were the days indeed! I started designing products for Synthesizers.com in 1997. My goal was to introduce a complete product line all at once instead of piece-meal like others did, and to make this a completely web-based company. In 2000, the designs, first production batch, and the website was done. The reaction was a bit unexpected but once people realized it wasn't a hoax, everything went very well, and way beyond my expectations. Since then, we've built hundreds of systems of all shapes and sizes, bringing dreams and cool sounds to musicians everywhere. Here's more about it. We had some fun and put together a calendar using pictures from our loyal, talented customers. The pictures came out great and the calendar was a top 40 hit! Sampling of the pics: Morbius, Michael, Richard, Dana and JJ. In 2009 a bunch of us got together at a library in Bedford TX to tinker with gear and gab. It was a lot of fun and very interesting to see all of the synths - vintage and new, along with a Melotron, Wavemakers, and a Tridadex Muse. People came from all over. The Moog 960 sequencer is a highly sought-after component of a classic Moog Modular synthesizer. I've always shy'd away from duplicating the appearance of Moog modules because I have my own user interface ideas. In 2004 I finally gave in to requests from loyal customers and began a project to duplicate the 960, 961, 962 Moog sequencer modules. 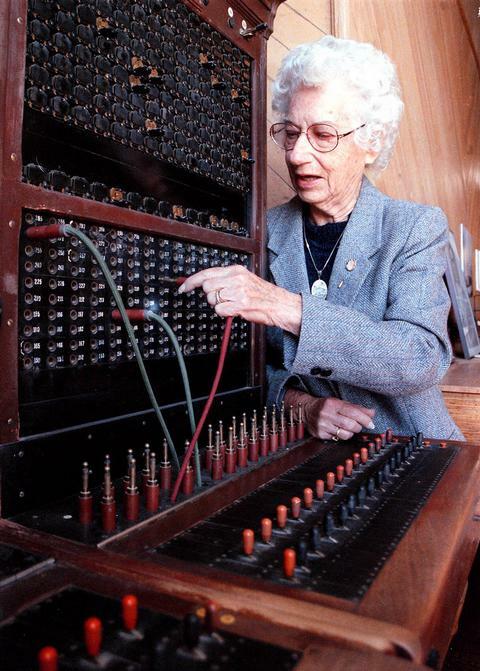 Bob Moog was a great inventor, implementer, and promoter of analog synthesizers. He's one of my heroes and he will be sorely missed. My 960 reissue project included the Q962 sequential switch module and the circuit board contains my simple tribute to him. This is something I always wanted to do, create a program to let you configure a virtual synthesizer, see how much it will cost, calculate power consumption, etc. I wrote SynthInvent in VisualBasic in about 200 hours. Even though I give it away for free, it was a fun project and I'm glad to get it off my life list! I'm rarely bored because I enjoy both working and relaxing, but I do sometimes need a short diversion, and the most satisfying diversion for me is building something. I guess it's what I'm made for so I accept it. 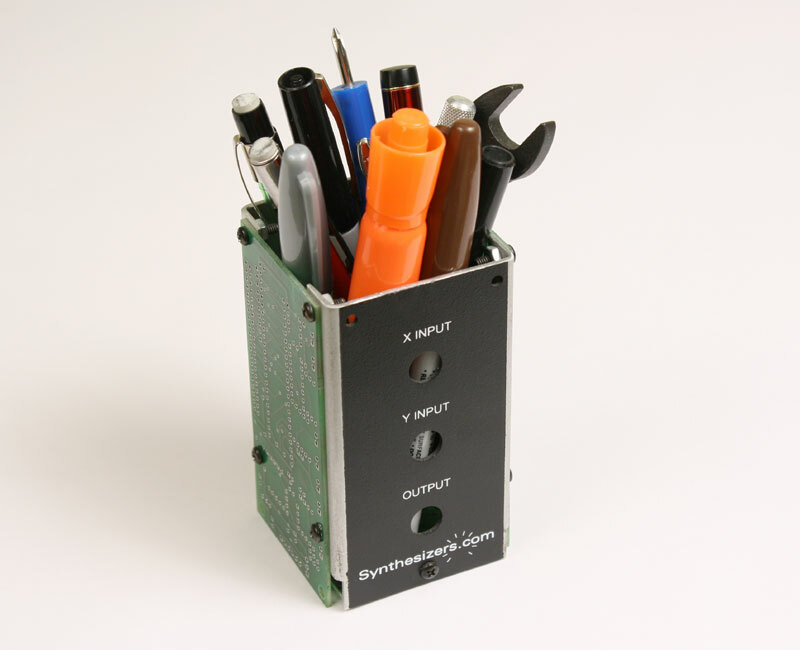 Here's a couple of synth-related diversionary projects: Synth Pencil Holder, Synth Business Card, Oscilloscope Heart.